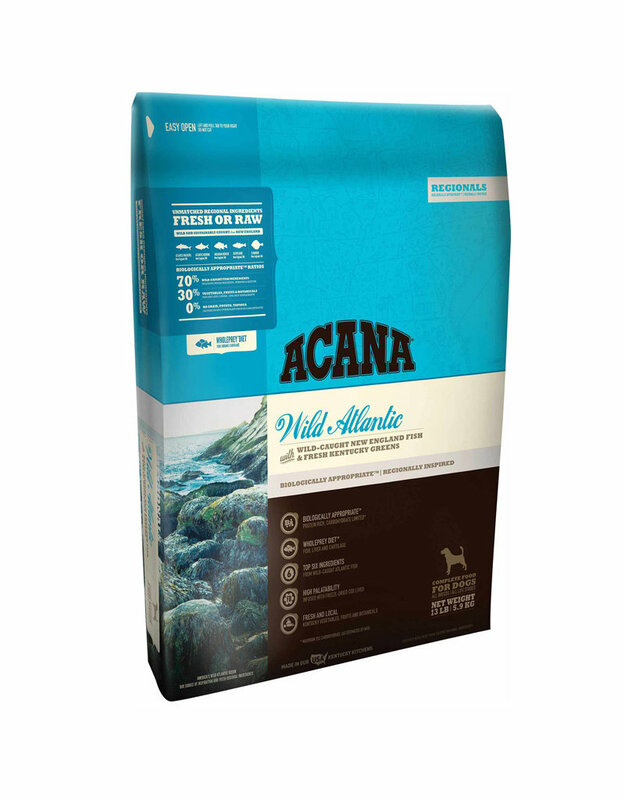 ACANA Wild Atlantic Food for Dogs features an unmatched variety of local ingredients that are raised or fished by people we know and trust, deemed “fit for human consumption”, and then delivered to our Kentucky DogStar® kitchens fresh or raw each day! Whole mackerel*, whole herring*, whole redfish*, silver hake*, mackerel meal, herring meal, whole green peas, red lentils, pinto beans, pollock meal, cod meal, catfish oil, chickpeas, green lentils, whole yellow peas, herring oil, lentil fiber, yellowtail flounder*, natural fish flavor, sunflower oil, dried kelp, freeze-dried cod liver, whole pumpkin*, whole butternut squash*, kale*, spinach*, mustard greens*, collard greens*, turnip greens*, carrots*, *Red Delicious apples, *Bartlett pears, pumpkin seeds, sunflower seeds, zinc proteinate, copper proteinate, mixed tocopherols (preservative), chicory root, turmeric, sarsaparilla root, althea root, rosehips, juniper berries, dried lactobacillus acidophilus fermentation product, dried bifidobacterium animalis fermentation product, dried lactobacillus casei fermentation product. 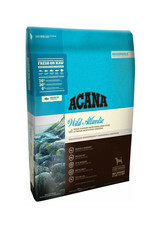 For complete nutrition information or a full profile of this product, visit the Acana website.